Whether you prefer an espresso to a piccolo, two sugars to an equal or instant to barista made - the delicate flavours within each cup of coffee hold an intriguing story. This captivatingly rich obsession, consumed over 2.2 billion times per day, is the product of an inherently complex and dynamic process. Purposefully blended with beans from around the world: sewn, grown, picked, dried, sold, shipped, roasted, blended, bought and finally poured, each cherry has passed through more hands than the loose change in your wallet. Renowned for his premium quality specialty coffee, found in over 100 cafés throughout the Sunshine Coast and across Australia, Tim Adams of Tim Adams Specialty Coffee understands the journey from ‘crop to cup’ firsthand. 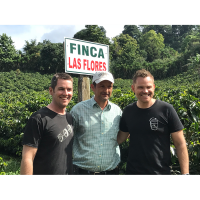 “For me, it’s about getting off my arse and actually visiting coffee origin countries and making those connections with farmers so that we know that we are doing things correctly,” Tim says. Tim and his wife Katie Adams also co-own the popular Caloundra Café Lamkin Lane and the roasting company Pedro and Grizz with business partners James and Angela Pedrazzini. Co-owner of Lamkin Lane and lead roaster of Pedro and Grizz, James Pedrazzini says that travelling to origin reaffirmed his beliefs as to why their businesses emphasise sustainability and traceability through relationships. “It is like turning up the volume on all of the things that you thought you knew,” James says. With 90% of the world’s coffee sourced from developing nations, exploitative labour practices and the inequitable access to international accreditation are a common concern for coffee farmers. This means that already vulnerable farmers are forced to sell their coffee beans into the local market for incredibly low prices and are unable to reinvest in pre-harvest activities. Essentially, this binds these farms into an unsustainable cycle of disadvantage. In 2015 Tim founded the ‘Chapola Project’, with three other roasters, to further develop the capacity of disadvantaged coffee farmers and to assist them in acquiring higher prices for their product. Donating $2 per kilo from the ‘Chapola’ blend, $1 per kilo from other blends and paying a premium for sustainable coffee, Tim says that the project has contributed nearly AU$60,000 to origin farms. Although permanently over-caffeinated and still beaming from their latest trip to Honduras, it is clear that Tim is genuinely excited about the project’s latest development. 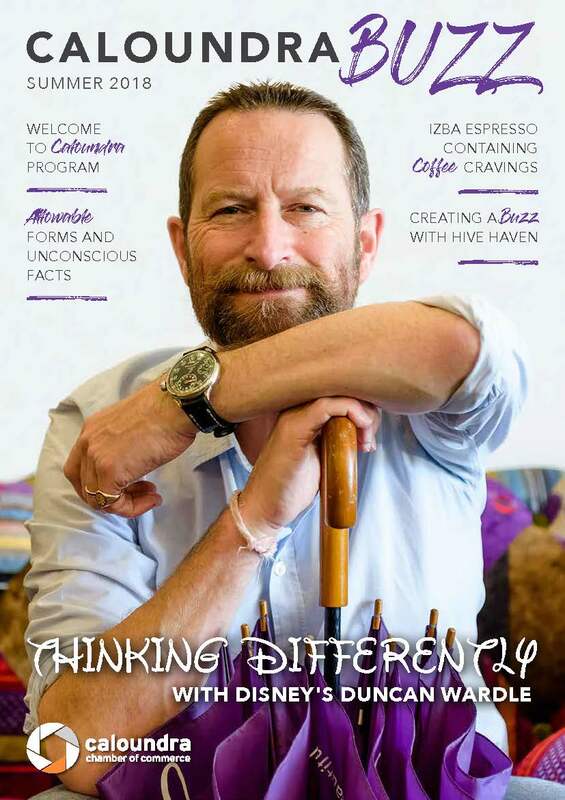 “Within the next month (September 2018) James and I will be finalising the purchase of a coffee farm in Honduras,” Tim says. “We are partnering with local coffee farm owners, the Lanza family, to help them maintain the farm and educate local coffee producers. Tim’s affinity for coffee has been repeatedly validated over the years through competition, securing the Queensland’s top Barista title on three occasions and being named Australian Barista Champion in 2009. The national credibility these titles come with gave Tim and his wife Katie an ideal launchpad for Tim Adams Specialty coffee in 2010 which held a clear emphasis on sustainability, education and traceability from these early beginnings. “When I first entered this industry in 2004 there wasn’t a lot of this happening,” Tim says. Tim Adams produces six masterfully roasted blends from their Warana Roastery sourced from PNG, Ethiopia, Honduras, Kenya, Nicaragua, Panama, El Salvador, India, Colombia, Brazil and Peru. Without a sales team, the coffee wholesaler has experienced significant organic growth since 2010 which he attributes to quality assurance and customer satisfaction. “It’s been word of mouth and brand awareness and quality awareness and doing the right thing by our customers, that’s huge and that’s how we’ve grown,” Tim says. It is clear however, that Tim is not driven by the commercial viability of his product but an honest desire to give back to origin communities and to improve the coffee industry from within. “I’ve used the business to help educate the market on specialty, I’ve helped educate the market on quality and now it’s all about how I can support the farmers from the countries that we buy off better,” Tim says.